Show your support for military families and local students by donating to the Hoopla Ticket Program. 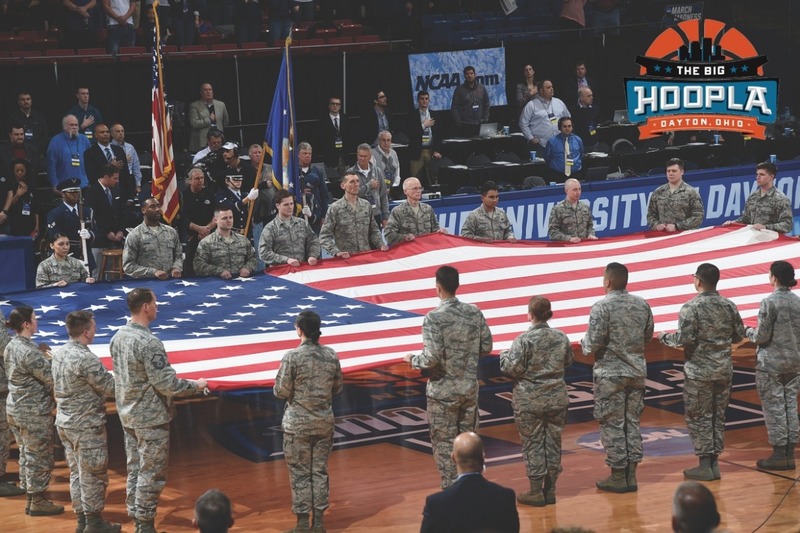 Every dollar raised through the Hoopla Ticket Program supports the Dayton Development Coalition's Hometown Heroes™ and helps to provide tickets for military service members, their families, and local students to attend college basketball games at the University of Dayton and Wright State University, minor league baseball games, and the arts! To date, the generosity of Hoopla Ticket Program donors has provided over 63,000 of these tickets. THANK YOU for your generosity - and THANK YOU to the men and women who serve in the United States Military! 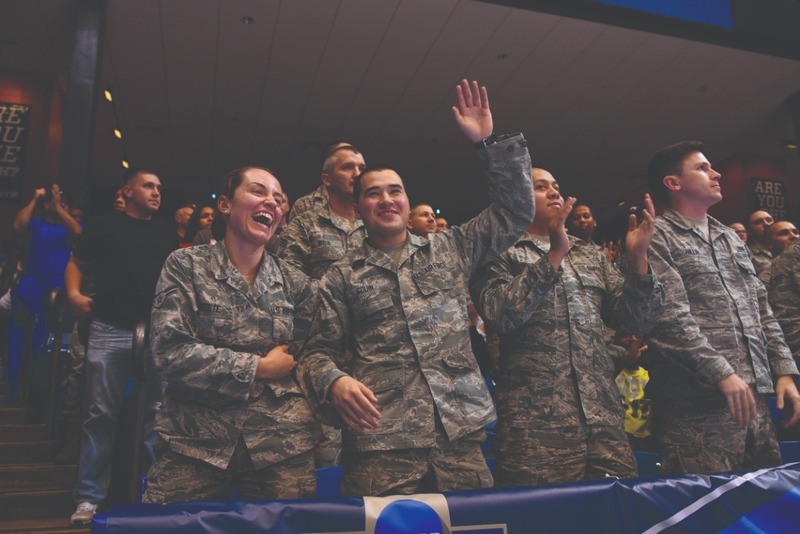 Military tickets give active-duty servicemen and their families unmatched visibility, recognition, and appreciation for the United States Air Force and Wright-Patterson Air Force Base. We use these tickets to demonstrate our appreciation to the military heroes serving our country while they support Dayton communities. The committee works closely with Wright-Patt personnel to ensure that each ticket is donated and distributed according to Air Force guidelines. A student ticket provides a one-of-a-kind experience for an underprivileged child from the Dayton region. The majority of these tickets are used to award diligent students (K-8) for their continued passion and dedication to STEM disciplines – science, technology, engineering, and math.